Why does unrest in some nations attract obsessive attention from the press and the Obama administration, while turbulence in other places generates scant concern? Ukraine, for instance, counts as a potential economic power house with a population of 45 million, occupying a crucial, strategic position between Russia and the west, but Americans pay little heed to huge demonstrations and bloody street battles between pro-western protesters and a corrupt, pro-Putin government. 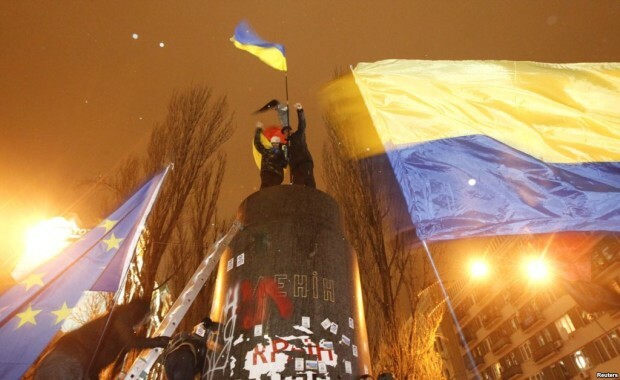 When demonstrators jubilantly smashed a huge statue of the Bolshevik dictator Lenin, few leaders in the United States expressed support for the forces of freedom in Kiev. Instead, we showed more sympathetic interest in far more dubious, Islamist-leaning, anti-government activists in places like Libya and Egypt. It makes no sense for western, democratic powers to remain indifferent when populist uprisings struggle to affirm western, democratic values.